Any tea devotee knows that not all teas are created equal. Realizing this, we at Arbor Teas perform extensive comparative tasting whenever we consider adding a new tea to our catalog. If it isn’t up to snuff, we simply won’t offer it. In addition, we meticulously manage our inventory of teas and store them in temperature controlled “cold” rooms, to maintain maximum freshness. We strive to offer only the best organic and Fair Trade Certified® teas and herbs in the world! We select our inventory with quality, organic certification, and Fair Trade certification in mind. First and foremost, we search for organic certified teas that represent classic manufacturing styles from around the world. Then we select the best organic variety within each style. If we find a tea that is of high quality, organic certified, and Fair Trade Certified®, we will choose that product first. However, some teas are not available Fair Trade Certified or the Fair Trade Certified option does not meet our quality requirements. As a result, we will opt for the organic certified option only. By limiting ourselves to organic certified teas and herbs only, we will occasionally opt to offer a style of tea or herb from a location that is not the traditional origin. For example, our Organic and Fair Trade Certified Dragonwell Green Tea is not sourced from the traditional West Lake District in China, because (to our knowledge) there is not yet an organic and Fair Trade certified garden in that region. If possible, we will always opt to source from the traditional origin, but if an option is not available we will expand our search beyond those boundaries. Our facility is certified organic by Global Organic Alliance and certified for food handling by the Michigan Department of Agriculture. Are Your Teas and Herbs GMO-Free? Yes, all of our teas are GMO-free. Organic certification prohibits the use of GMOs. Since all of our teas are organic certificated, they are also free of GMOs. Which of Your Teas and Herbs are Organic Certified? ALL of our teas and herbs are certified organic to the USDA National Organic Program standards. Our facility is certified organic by the Global Organic Alliance. You will notice the USDA Organic seal listed on every tea and herb we sell. Read here for more information on our organic certification. Are Your Teas and Herbs Certified Kosher? No. We’re sorry, our facility in not certified Kosher. The term "natural flavor" or “natural flavors” is a regulated term in organic food production. In organic certified products (such as ours) all flavors must be derived from a botanical and must be organic compliant. These flavors are listed as "natural flavors" in the ingredients list. Synthetically derived (or artificial) flavors and artificial preservatives are prohibited. The natural flavors we use in our flavored teas are extracts taken directly from the botanical with no additional carrier agents or solvents, or taken from the botanical with only the use of 100% GMO-free grain alcohols as a solvent. For customers hoping to avoid gluten, the use of the grain alcohol as a solvent should not cause a problem, as the flavors are certified to contain no residue after the extraction process. However, for those still concerned about gluten we recommend avoiding teas that list “natural flavors” in their ingredients. Are Your Teas Certified Gluten-Free? No. Our facility is not certified gluten-free. However, there are no gluten products in our teas and herbs, nor our blends. The natural flavors used in our flavored teas are extracts taken directly from the botanical with no additional carrier agents or solvents, or taken from the botanical with only the use of 100% GMO-free grain alcohols as a solvent. For customers hoping to avoid gluten, the use of the grain alcohol as a solvent should not cause a problem, as the flavors are certified to contain no residue after the extraction process. However, for those still concerned about gluten we recommend avoiding teas that list “natural flavors” in their ingredients. Yes. Our facility does not package any products that contain peanuts or tree nuts. Do You Test Your Teas from Japan for Radiation? Yes. Ever since Japan's Fukushima-Daiichi nuclear plant disaster in 2011, samples from each crop of Japanese tea are tested for I-131, Cs-134, and Cs-137. 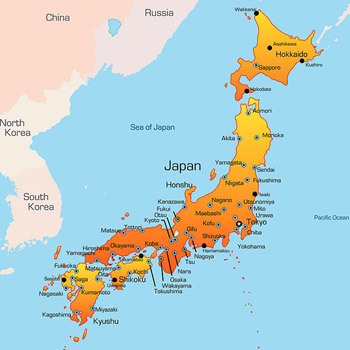 The Fukushima-Daiichi nuclear plant is along Japan’s eastern seaboard. Prevailing winds blow east, pushing the fallout over the Pacific Ocean away from land and tea growing areas. Virtually all of Japan's tea is grown at least 200 to 300 kilometers south of the radiation source. Tea grown in Kagoshima, the nation’s second largest growing region, is on the island of Kyushu, thousands of kilometers away from Fukushima - a distance equivalent to traveling from New York City to Denver. Arbor Teas sources the majority of its Japanese tea from the Kagoshima Prefecture. Here a list of the prefectures from which each of our Japanese teas originate. Regardless of origin, samples from each crop are tested for I-131, Cs-134, and Cs-137.